We discuss four simple ideas to improve your social customer relationship management (sCRM) efforts in less than an hour. Of course, all of the above are examined over a period of time. Below, we outline how to get off to a good start to becoming your in-house metrics guru, without a big budget. Article source – Engagement efforts: Are yours driving clients away? 1. What is the purpose of using social media? 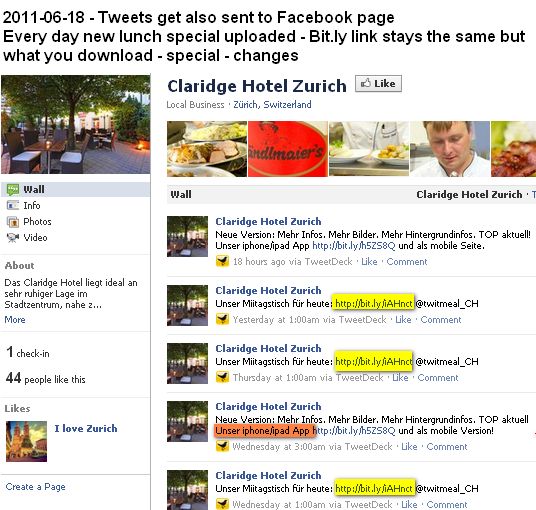 Zurich’s Claridge Hotel’s social media efforts must serve both local and out-of-town guests. Except wanting value for money, both groups’ needs differ, whether that be a quiet room or the right ambiance for a client lunch. b) What type of content do clients crave (like is not good enough)? Claridge has 206 followers and follows 352, but the million-dollar question is, do people care what the hotel tweets? Over several weeks, I realized that most tweets (also found on their Facebook page) are about the Claridge’s daily lunch specials and its iApp has only limited success (see also Android outsells the Apple iPhone at least 2:1 and Why do some apps fail?). By the way, while 30 percent of iPhone app buyers use it the day of purchase, analyzing over 30 million downloads from Apple’s App Store reveals that only 5 percent continue to actively use the app 20 days after downloading. Moreover, only 3 percent of FREE apps are used 30 days after download. Let’s put it to the test: Whose name do you remember after watching? Surely not the hotel’s… It does not seem right, but I remember the ad agency’s name. Please leave a comment below! 3. How well are your social media efforts working? 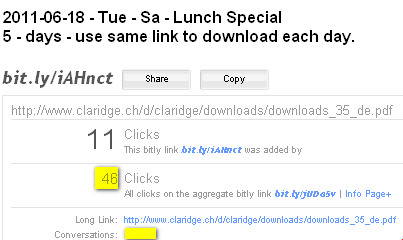 a) Did the 46 people who clicked on the lunch special tweets (five) trigger more sales? Since people are not given a code to use at the hotel, we have no way of knowing without asking guests directly. b) Did social media activity engender any conversation or engagement? A first analysis reveals basically zero on Facebook (i.e. no comments, Like(s), etc.) and not a single re-tweet. Tip: To find out more about the tips and tricks we have provide on this blog about social media and more effective engagement include the words CyTRAP and ComMetrics in your search. 1. Know what you want to accomplish: Spell out your objectives, such as using social media to reduce customer complaints by 20 percent within a year, and ensure you know how to measure that (yes, you can). 2. Social media is pull-marketing: It works well if you want to interact and engage with your target audience. If nobody comments, Likes or replies to your posts, does anybody care? They might and tell you face-to-face. Make sure you record these responses, acknowledge their input (e.g., tweet about it, using @TwitterUser in your tweet), and learn and improve. 3. One size does NOT fit all: Unless your social media engagement responds to your customers’ wants and needs, engagement will be dismal. Are you sure your Facebook fans appreciate seeing your lunch special every day on their newsfeed? How about posting a poll instead, asking them to vote for their favorite dish on the menu? 4. Take your baseline: This can be done with a few screenshots and a bit more systematic analysis if you have the tools. Take your baseline with My.ComMetrics – and then benchmark. You will see quarterly improvement, guaranteed. Remember that CyTRAP Labs can help. Start a conversation! Email us at info [at] CyTRAP [dot] eu or call us at +41 (0)44-272-1876. 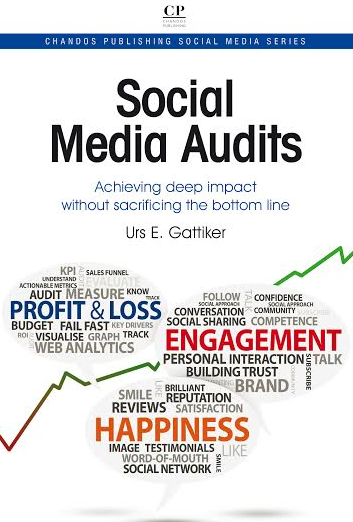 – Social media audit: Are YOU the problem? 1. How did you take your baseline? 2. What insights did you gain from your baseline data? 3. What changes did you make after measuring your performance on Twitter or Facebook? The comments, as always, are yours! Thanks for this nice example of hotel Social Media activities. First af all: great that the hotel does it and fantastic that they let it do the person with the most motivation for it (so it seems). There was an interview with him recently, so the PR side of it works. Have a read (in German): http://www.hotel-newsroom.de/social_media_marketing/social-media-im-hotel-wenn-der-kuchenchef-twittert/?utm_source=feedburner&utm_medium=feed&utm_campaign=Feed%3A+HotelNewsroom+%28Hotel+Newsroom%29. The challenge with Social Media is to cater to the needs of your fans, followers, friends and, well clients (or guests). Not to all of them, yet to most of them. Naturally, a chef focuses on his F&B offers as this is what his job is and what he is passionate about. To make the offer more broad, he needs to have the information from other departments of the hotel – something that hardly works well in any hotel I have known. In a second step, he has to be able to communicate those things in an entertaining and “salesy” way. He has to write well (maybe even in a different language such as English). And he has to have creative ideas on how to engage the audience. Also, posting from Tweetdeck and linking it to Facebook can save time, yet I agree, it is so last year. It really is important to do different things on different channels. Something I just started doing with my own channels. In a nutshell: while having the chef doing it is a great idea, yet why does he have to do it alone? Social Media is not complicated, yet it is complex and it is 24/7, so doing it alone is hardly possible. I recommend that they engage more staff from other departments and find out what their individual strenghts are. One is the techie, the other one writes well, the next one has the ideas, and others have the information. It can be lots of fun. By the way, some years ago, in the pre-Social Media era, we did a weekly staff newsletter in the hotel I worked. It was black-on white, 4 pages copied with a copy machine and with a limited number of copies that were spread in the canteen and in all departments. Very basic, actually. Yet it was the most read publication withing weeks of launching as we did what I just said: we hat a small team of producers, each of them had different tasks (the marketing girl did the layout, HR did the contribution, I did the lecturing and writing, Sales put in the events and VIP section), and we got contributions from many people and departments so that we had to put them on a waiting list. The most important thing was to write in a simple and entertaining way, use pictures and humour and to keep a structure that people understood. Does this help you and your readers? I do hope so. If you need more help, I am there. Thanks for the link and the nice and extensive comment. Yes, agreed they do many things right and choosing the one most motivated is a smart move because it builds on the human capital already available for using social media. Having said that I also agree that the Chef de Cuisine being the only one doing the social media work besides other things is good for a start but not good enough mid-term. Other employees have to join in and it is always better to have several people get engaged and carry the Olympic flame. However, when you describe your newsletter that you produced a few years back it is obvious that you attempted to find a news mix that suited your audience the best. Similar we do with social media, we try to find things that are of interest to our audience. Whilst your restaurant regulars might want to know about the daily special, your hotel guest could have different needs for information that must be served. 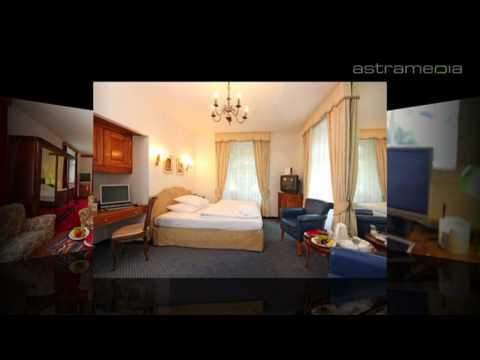 A person from the reception or the concierge might have an idea and maybe it could even be useful to have to different Twitter feeds to minimize the traffic. I agree, an interesting example and the hotel must be commended for jumping right in and doing such a nice job. Now we start with the challenging task called ‘continuous improvement’. 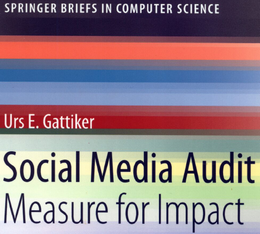 Previous post: Social media audit: Are YOU the problem? Next post: Ubiquitous sharing: Real insight?